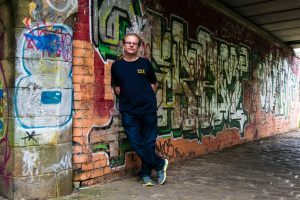 Local poet, novelist and compere of Leeds’ premier spoken word night, WORD CLUB, Mark Connors, releases his first full-length poetry collection, Nothing is Meant to be Broken, on Friday 24 March. Published by Stairwell Books of York, the collection has received critical acclaim from some of the country’s top poets, including regular Radio Four contributor, Kate Fox, Clare Shaw, local poet and radio presenter, Peter Spafford and Brett Evans, the poetry editor of Prole, voted best lit mag in last year’s Saboteur Awards. 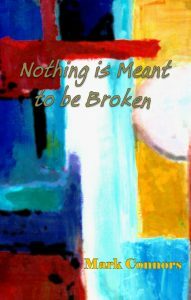 You can purchase a copy of Nothing is Meant to be Broken at www.stairwellbooks.co.uk. Author photo by Joanna Sedgwick. Win Dark Briggate Blues by Chris Nickson in our Competition Giveaway! Next story 12 Hour Charity Open Mic 2017 is Back!